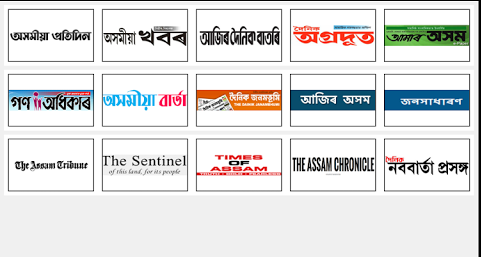 Against all odds Assam media still stands tall! The role of media is of paramount importance in a democracy. Though this may sound like a cliché as it is being said too often. The media shows the mirror to the people in power. But when the media ails democracy too ails. There is a famous saying of L K Advani on the role of media during the Emergency. He said, “When it was asked to bend it crawled.” This indictment of Indian media is never going to go away from the history of Emergency. Presently the national scene of media is not very savoury, rather it is unsavory. Veteran journalist Kuldip Nayar who passed away only the other day said in 2017 that it was not necessary for the government to undertake any extra constitutional measures to control media and press freedom in India because most of the journalist were already toeing the government line and they were too conformist. Arun Shourie went a step ahead and said, “It is not fear, but greed why they (media) are behaving the way they are behaving now.” The national media may be scared, greedy or even willingly subservient. It is true that except a microscopic minority the national media is doing what it shouldn’t have been doing. It is only following the government diktat. They are following a soft Hindutva line. They have abdicated their role as neutral and objective observers. It is a very pathetic and shameful state of affairs. A few of the media personalities will be remembered by future generations as reactionaries for their role during this time and the kind of infamy they have brought to the profession. Viewed from this background, how is our regional media doing? It is true that the regional media is less professional in dissemination of news. Its resources are also limited. But that is only one side to it. We must remember that with all its deficiencies still India lives in Bharat, in the villages, in suburbs in the regions, not in New Delhi and other metropolitan centres. Regional media will fail us if it fails to represent the woes and problems of Bharat. So style apart you must be willing to understand the woes of the people and you must have a bent of mind for facts and truth. Besides, you need guts and courage too in speaking truth to power. I am sure on these counts our regional media, be it print or electronic have been serving us much better than the national media or say metropolitan media. Take the example of Assam. A large section of media tacitly supported the BJP in the last Assembly elections. But, after the elections, each major step of the state government was scrutinized and critiqued by local media. The first attack the state government faced from the media was when it celebrated Namami Brhmaputra. The purpose, objectives and the way it was organized was severely criticized by the media. The next thing was the opening up of a few colleges in the name of BJP ideologue Dindayal Upadhya. This decision of the state government was not welcomed by the literati and the common people in Assam and it also drew flack from the media. Then the major attack the BJP government at the Centre received from almost all the organizations of Assam was for their move to amend the Citizenship Act, 1955 to allow Hindu foreigners violating the provisions of the Assam Accord. The entire state of Assam vehemently protested against this initiative of the central government. The local media played a vital role ventilating this protest. All the major newspapers from Assam published numerous articles opposing this move of the government. Electronic media also didn’t lag behind. They organized talk shows and discussions on the issue and helped spread the protest. Besides, the intolerance shown by BJP and various incidents of cow vigilantism were strongly protested by many in the state and media again played an important role in building awareness on this. Assam has been agitating against the mechanization of the ruling party from the beginning. But such protest would not have been successful without the direct and indirect support of the media. Unlike the national media, the regional media in Assam didn’t lend support to the dominant narrative of the ruling party. It took an oppositional role which is heartwarming. Here we must also admit one thing. The present state government headed by Sarbananda Sonwal may not have been very effective in service delivery. It has yet to prove itself as a worthy government. But a severe critic of Sanowal also must admit that he is a well mannered chief minister. He may not listen to criticism, but till now he has never tried to throttle the voice of media directly or indirectly. So far there has not been a single instance where there has been any attempt from the CMO to browbeat and influence the media. At least I am not aware of any such incidents. I think this is a healthy practice which the central government and other BJP ruled state have not been practicing. It is not that the regional media will crumble if they are coerced. But the good thing is they are not facing it at the moment which augurs well for democracy.